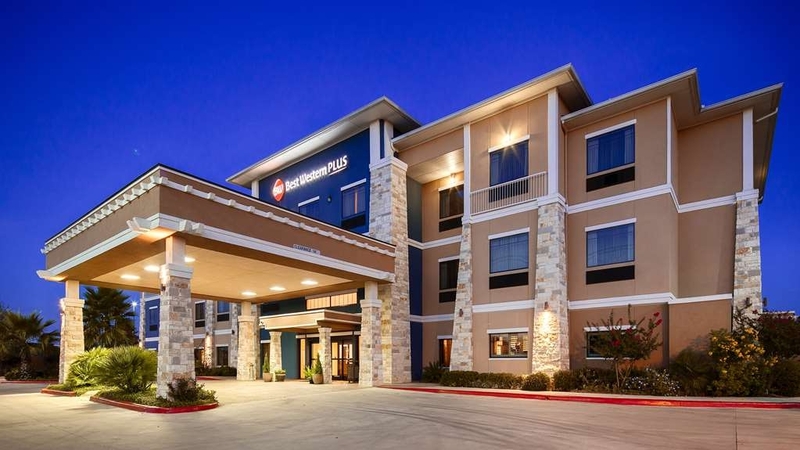 The Best Western Plus Lytle Inn & Suites is ideally located in the center of Lytle. Come and experience our hotel near the major tourist attractions. Best price guaranteed and exclusive deals. Pull up and make yourself at home at the BEST WESTERN PLUS Lytle Inn & Suites. Meet our friendly staff who are awaiting your arrival! Our lobby area offers a relaxing place to read a book or socialize with colleagues and friends. Enjoy some downtime in our comfy chairs while reading a book or newspaper! Start the day off with a complimentary full hot breakfast. We have an assortment of cereals, yogurt, pastries and fresh fruit in season. Relax, unwind and enjoy the relaxing atmosphere in our indoor hot tub. 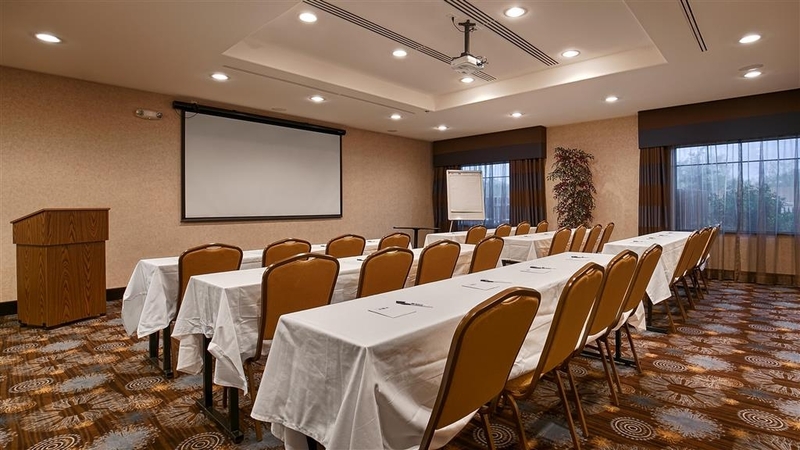 Reserve our meeting room for your next meeting. 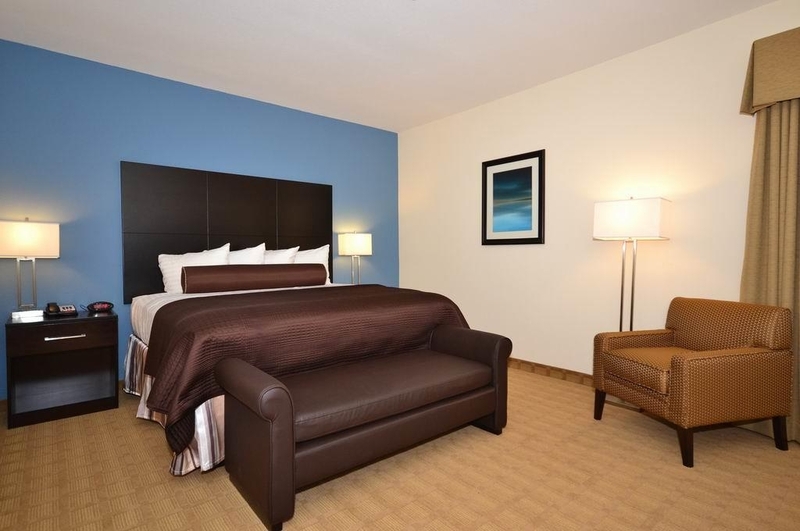 Relax in our spacious double queen bed rooms. Use the sofabed in our two queen suite for extra sleeping space. Spend a special night together in our king suite with separate sitting area. Staying awhile? Try our apartments suites that feature two King rooms,sitting room with workdesk and a mini-kitchenette. A night for two? 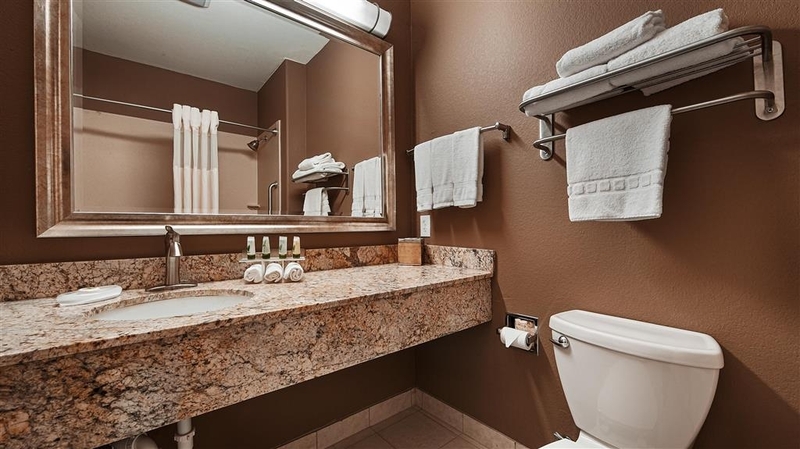 We have a king suite with whirlpool included! Centrally located between San Antonio and Eagle Ford Shale, our Lytle hotel boasts a superior location close to everything. A trip to SeaWorld® is a must for many guests at our Lytle hotel, with endless shows and underwater entertainment. First Responder Training Camp is also in the area, bringing many guests to our hotel. We have easy I-35 access, so getting around the region is simple. Shopping and dining options abound since we are conveniently surrounded by the towns of Pearsall, Dilley and Cottula, TX. Our friendly staff members are happy to provide recommendations. Southern hospitality is available in abundance, and we're all about helping you enjoy the best vacation possible. The indoor swimming pool and hot tub at our Best Western Lytle hotel is perfect for relaxing. Enjoy a free, full hot breakfast buffet that features favorites like sizzling waffles, pastries and cereal, a yogurt selection and sweet pastries. Bottomless 100% Arabica coffee is the perfect end to the first meal of the day. Hunting season brings guests to our Lytle hotel from around the country. However, the San Antonio Alamo and River Walk is a must for those on a romantic escape. A patio with a guest BBQ grill makes you feel right at home. No matter what brings you to this part of the Lone Star State, relaxation is a given. 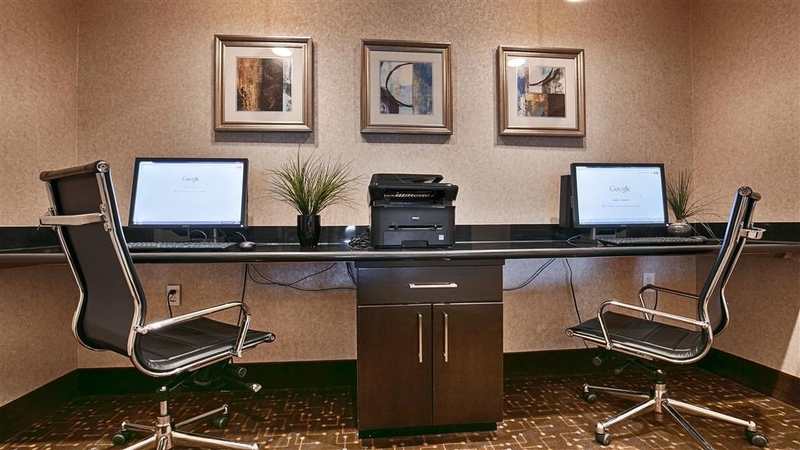 Business travelers count on our hotel in Lytle, TX because of our location, service and great prices. Employees of Halliburton, Chesapeake Energy, Eagle Ford Shale, and service men and women with the Lackland Air Force Base are just a few of our regular guests. 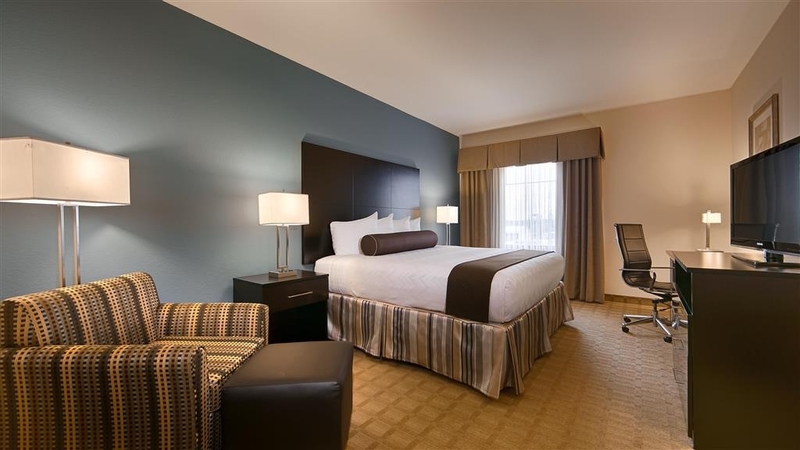 The luxury bedding, spacious rooms, and peace and quiet of our property make it simple for business travelers to take care of work and rest up for those big meetings. Is there anything else you need for a fantastic trip? Just ask, and we'll go the extra mile to deliver. 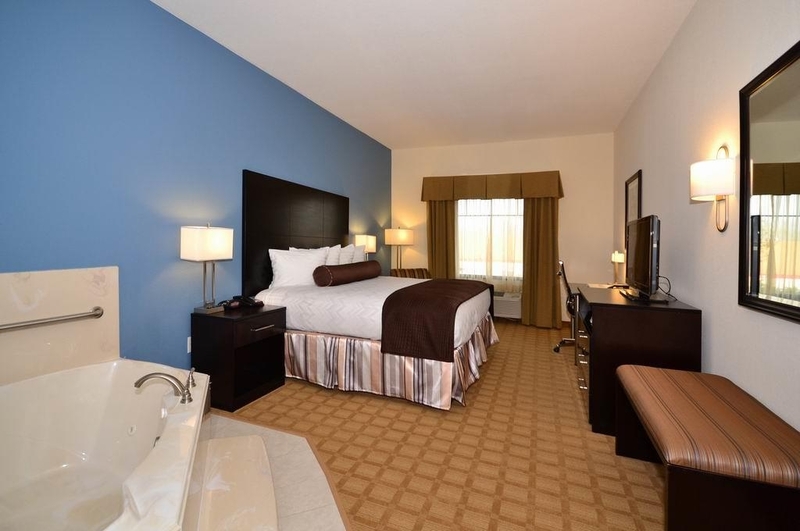 Reserve your next room at Best Western Plus Lytle Inn & Suites today! Enjoy your stay! "Worst experience of my life at a hotel"
I've stayed in MANY hotels in my life and this was by far the worse experience. Hotel staff charged my card 3x the amount that should have without my permission or knowledge. When asking staff why they took out so much she replied she didn't know probably a holding fee and could not justify why it happened. Management was clueless and not apologetic. Corporate was useless and said everything was felt directly with the hotel. Family members affected called to complain and management did not budge on compensation or for being at fault. "would have been a perfect review except ..."
The property is well kept, clean, has good breakfasts ... however during my recent stay (3/30- 4/2, 2019) the maid removed a personal bag of mine, perhaps thinking it was trash. The bag was a mix of recycling and dirty laundry, was somewhat heavy, and was not placed as if it was "trash". They were items to take back to my home. It was next to my personal things. I reported this but basically got a head shake - and no courtesy credit or discount to reflect this misadventure. Lesser chains have been far more customer-service oriented. PS Also, the room lighting is very low, especially in the bathroom. So low-lit that I had to put my makeup on, by the window. Are they trying to save money on their electric bill? Thank you for your review. While an apology will regrettable not alter the outcome of your experience at our Best Western Plus, I do extend it with all sincerity. At the time of check-in you wanted an additional discount on top of an already discounted rate. You were upset but it was explained to you that we cannot further discount an already rock bottom rate. Our customer service and housekeeping training is very thorough, our housekeepers do not touch guest's personal belongings. You informed the front desk that you were missing 7 under wears that were in the bag and that had recycling items on top of it was removed from the room. Our housekeeper, who has been in our employ since 2011, did not remember removing any "somewhat heavy bag" from your room. As far as our lighting in our rooms, it is to Best Western International standards, thank you. We wish you happy travels. We enjoyed our stay here for a baseball tournament. The hotel and rooms were very clean. The staff was helpful and very friendly! The breakfast was always fresh and replenished often. Would highly recommend this hotel! Thank you, we appreciate your feedback. We are delighted you enjoyed your stay with us and hope you come back and see us again soon. This hotel is well maintained. The rooms are large and exceptionally clean. The staff is friendly and caring. This hotel is unbelievably nice considering it is located in such a small city. A bargain. Thank you for your kindness. We pride ourselves for our friendly & courteous staff who always try to provide what is lacking in the world we live in....Great Old Fashion Service. Our welcome mat is always out please come back and see us. My husband and I stayed here while attending the San Antonio rodeo and stock show. It's an easy commute into San Antonio. The hotel is fairly new and very clean. Although in the interstate we heard no noise during our visit. We stayed here last year and will return in the future. Thank you very much for taking the time to write about your recent and previous experience with us. We are thrilled to hear that you enjoyed your time, that our staff provided you with great service and amenities throughout your extended stay. We are looking forward to welcoming you back again soon and also for the San Antonio Rodeo next year also. We have stay at this hotel several times over the years and we love it. The breakfast is a plus and the hot tub is amazing. The staff is so nice every time we have ever stayed. We are originally from this area but live in Oklahoma now so when we come home we stay here and it's a great home away from home place. Thank you, your review is valued and very much appreciated. We are very proud of our team who continue to excel each day in providing great customer service. Our greatest compliment is our returning guests; we are humbled to have earned your continued support and hope to continue to serve you and exceed your expectations again and again. "Cleanest stay in a while"
I have to say hands down this was the cleanest hotel I have stayed at in a long while! The front desk staff were very friendly. The complementary breakfast also had more choices than most! Defienalty recommend this place. Thank you for the wonderful review. We are always striving for service excellence and cannot do it without the support of our wonderful guests. We take pride in meeting and exceeding our guests' expectations and hope we're able to exceed yours again the next time you are in the Lytle area. The staff is friendly and the rooms were nice! I enjoyed the work out room because of the TV that I had control over. The breakfast was really good! The ladies at the front desk were really nice and I can not wait to go back! Thank you, we appreciate your feedback. We are delighted you enjoyed your stay and look forward to welcoming you back. 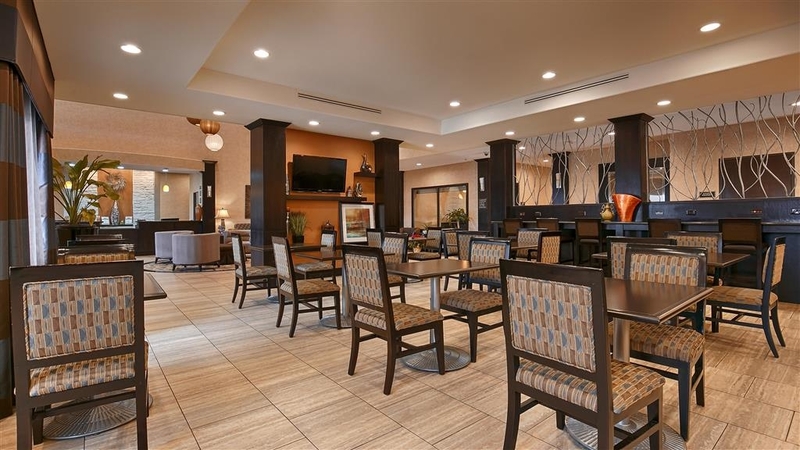 Very nice hotel right off of I-35 that is easy to access and is very well maintained. Great value for a clean, comfortable stay. I travel a lot and realize that hotels right off the interstate can be hit or miss but you won't be disappointed with this stay. Thank you for your feedback, it makes our job very rewarding when we receive A+ feedback from our guests. We strive to exceed expectations and hope we're able to exceed yours again next time. See you again soon! 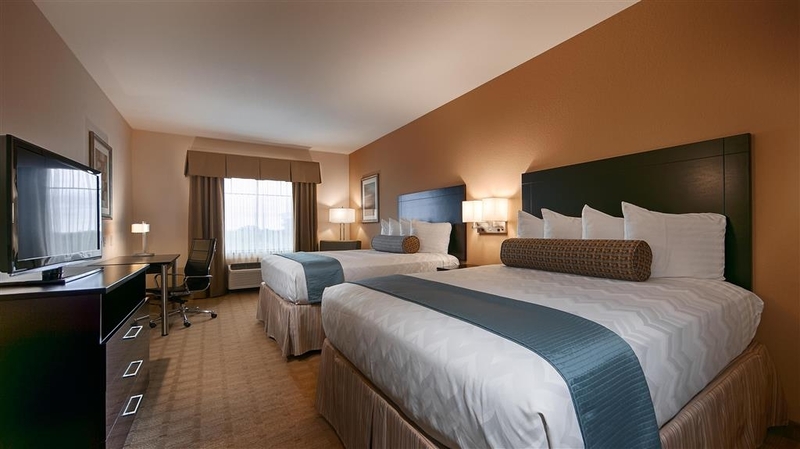 Everything was outstanding,quick friendly service,spotless room, wonderful king size bed.The breakfast was perfect and the waitress was very courteous. I was amazed at the new look of BW. It felt more like at much higher priced hotel. My wife I and will definitely return to BW. Thank you! Thank you. we sincerely appreciate your kindness and comments during what must be a sad time. It is wonderful to hear that our team and the amenities we offer, were able to make you and your family feel comfortable and at ease. We look forward to welcoming you back under happier circumstances. The bathroom was very dark and bed too soft. Breakfast ends at 9 on weekends so missed it. The staff was very nice and helpful. The room was very clean and provided a nice desk with office chair. It also had a comfortable guest chair. The bed/mattress was excellent and sleeping was a pleasure, the room was very nicely decorated, the breakfast had so many more choices than other motels I've stayed in, a small general store on-site PLUS vending machines!! The entire facility was well-kept and inviting. Friendly staff, great stay for a great price! We simply want our guests to feel right at home to enjoy our hotel and amenities, Thank you for a wonderful review, we are delighted you enjoyed your stay and look forward to welcoming you again next time your travels bring you to Lytle. This location is conveniently close to the local grocery store and restaurants. It's clean and quiet. Breakfast is served from 6-9 am, pleanty of time. Pull out couch has a this matress but if required it's useful. Two TV's in my room one in front of each queen bed. Pool closes at 10 I didn't use it so I can't comment. Thank you for recommending us to future TripAdvisor travelers. Some of the most important aspects of a great hotel are the location, amenities, service and the ability to get a comfortable night sleep. We are delighted you enjoyed your stay with us and look forward to welcoming you back soon. I was very satisfied with the overall stay. Friendly staff, a few amenities, nice clean rooms and a good bed. It was a little difficult finding it at first but well worth the time to stay there. I would recommend it to anyone and I will stay again next year when I return. Thank you, our staff members take their roles in our industry very seriously and try, every day, to provide a level of service and respect as our guests deserve nothing but the best. Thank you for the positive review , we look forward to welcoming you back in Lytle soon. This is a great and beautiful property !! if you are one of the ones that do not like the craziness of the city of San Antonio but still have business to attend to then this is one of the places I would highly recommend you check out. 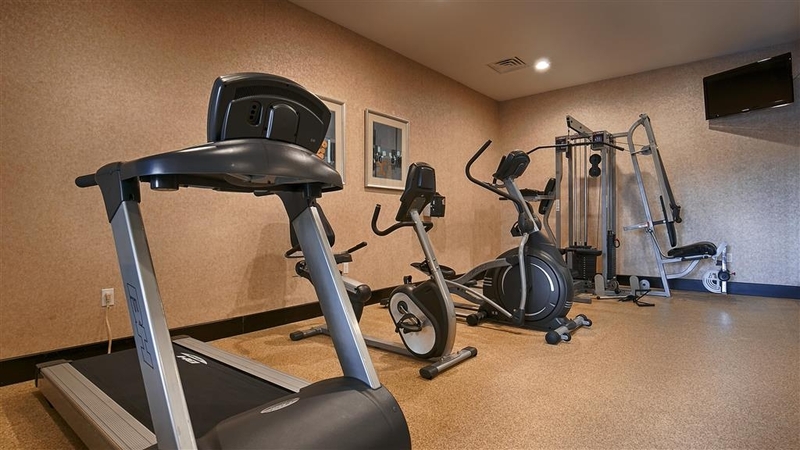 The rooms are beautiful and very spacious for the price and restaurants are just around the corner and if you have kids they also have a beautiful indoor pool and bbq area for down time with your family. One of the best hotels I've stayed at!!! Thank you for highly recommending us to future guests. We are so pleased that you found our rooms beautiful and spacious. Many of our guests really appreciate getting away from all the downtown hustle and returning to serenity of our Hotel for a quiet night's sleep. It makes our job very rewarding when we receive A+ feedback from our guests. Thank you and hopefully your journeys bring you back to Lytle soon. I called 3 weeks in advance for a room. I asked for a room on the first floor due to having knee issues. I was ASSURED i would be accommodated, or i would have chosen to stay in San Antonio. When we arrived the desk clerk said there was no room available on the first floor. She looked dazed and confused and looked at me with a blank face when i was upset about it, like i had no reason to be upset. She apologized and seemed clueless as to what the dilemma was. After going round and round, she said she has a room but they don't rent it out. I was confused on that. She calls someone and told them what was going on. She ended up telling us that we could have that room.I was told it was the managers room. I asked if it had a pull out couch as we needed one, she stated ALL the suites have pull out beds. We get to the room, there isn't a pull out couch, the microwave is making a buzzing and beeping noise and had to be unplugged and eventually replaced, the telephone wasn't working and never did, the television turned on and worked for about 30 mins and abruptly stopped working, they ended up having to replace it too, they eventually brought us a pull out bed with one sheet covering the mattress and one small ugly looking blanket....we requested an additional sheet and blanket and they informed us they didn't have any, REALLY? So from start to finish the stay was a nightmare. We appreciate all our guests who stay with us and pride ourselves on offering the best customer service possible and I apologize that your guestroom fell short of your expectations. Room types and the room floors are a request only and we try our best to fulfill each guest's request. When you arrived at the hotel, your requested room type was available on the 2nd and 3rd floors. The suite on the first floor was blocked off due to a broken sofa. You were persistently adamant about staying on the first floor only and not the other floors even though we have elevators for our guest's convenience; the desk clerk hesitantly gave you this room to accommodate you. The TV was fixed, the microwave was replaced, you were given a roll-away bed with linens and the phone by the bed works. We strive to make our guests feel comfortable and accommodate them as much as possible and I sincerely apologize for not meeting your expectations. Thank you for taking time to write a review on your recent stay with us. ADA is the hardest inspection to pass in order to open a hotel and we are ADA compliant. There was no hole in the bed but the bed frame needed adjusting and maintenance was able to take care of that. I am glad you enjoyed your stay with us. I had 2 free reward nights. My e-mailed confirmation listed the price of my 2 additional nights at $90 plus tax and fees each. What I checked out I was charged $110 each plus tax and fees. When I questioned the charges, the clerk said there wasn't anything she could do about it. She would have her boss call me. I am still waiting! If this was because I had rewards, they weren't very good rewards! We value and appreciate our Best Western Rewards Members and all our guests who stay with us and pride ourselves on offering the best customer service possible. I sincerely apologize that we did not meet your expectations. I have confirmed that (1) the total amount charged to your credit card was $203.40 (at the correct $90. plus tax/per day rate), and (2) a copy of that charge was email to you before noon (the same day you checked out). Please check your e-mail and let us know if you would like another copy for your records. We conduct our business honestly; if and when there is a mistake we correct it as quickly as possible. We are not intimidated by threats as in your separate email review to us you stated "When I get that $20 per night returned to my credit card then I might consider giving a better recommendation." There will no adjustment as the amount charged to your credit card was correct. Have a nice day and we wish you well in your future travels. Arrival was quick and efficient, departure the same. Even the morning desk person made the point of finding us to tell us we had a low tire. Breakfast was of good quality and good selection. Hot food was hot, cold food cold. We basically took over the hotel with our group who was there for a wedding. The staff was extremely accommodating, friendly, and patient with us. The rooms were clean. There was a little noise from the highway in the rooms facing that direction, but nothing that the fan and white-noise app on my phone couldn't cover up. I would highly recommend this hotel. The breakfast was good. It was truly a pleasure to have you as our guests and we are humbled by your great review which makes the hospitality industry so rewarding to those of us who take great pride in creating indelible memories for our guests. We look forward to welcoming you back again to the Best Western Plus in the very near future. Thank you! "Nice room facing the back of the property which was raw vacant land and quiet for miles"
Tried to find a problem but couldn't. Everything was very enjoyable. Breakfast was the usual for most hotels. Always like the biscuit and gravy both days. The owners were very accommodating and nice. Will come back again next time I visit my sister. Thank you for taking time to review us on TripAdvisor; we are humbled by your wonderful review! Our staff members take their roles in our industry very seriously and try, every day, to provide a level of service and respect as our guests deserve nothing but the best. We are absolutely delighted you enjoyed your stay with us. We look forward to welcoming you back! "Great place right outside of San Antonio." Great place, very professional and friendly staff , very nice place, clean quiet and good. Nice rooms, clean bathroom, good TV, Very convenient to San Antonio without having to fight the traffic Good place to stay, I recommend it. Thank you, we appreciate your kind words. Your high praise of Best Western Plus Lytle Inn & Suites and our team is very much appreciated. It is gratifying for us that you enjoyed your accommodations with us and that you experienced customer service at its best which is what we strive for. We look forward to welcoming you back when your travels bring you to Lytle. Stayed at the Best Western in Lytle while attending a bike race in Castroville. Super nice place and service was top notch.Will make sure to stay at this hotel for all of my bike races in the San Antonio area. Thank you for a glowing review. We are always striving for service excellence and cannot do it without the support of our wonderful guests. We look forward to welcoming you again next time your bike race travels bring you to San Antonio. "Good place for an overnight stay with the family"
It was okay as all we needed was a clean and safe place for an overnight stay for me, my wife and my two kids while driving through TX coming back home. It includes a complementary hot breakfast which was okay and what we needed to re-energize and start over our ride. Thank you for your review. We hope your travels will bring you back to Lytle and we will be able to welcome you back. The rooms are in excellent shape. The staff, at every level, was attentive and accommodating. I had a couple of extra needs and they were able to help me. And, not with an 'attitude' but genuinely helpful. Not something you get now-a-days. Mostly a family and business type of clientele and we stayed there through New Years Eve and New Years. My point... no extra noise or rowdiness. Thank you, your high praise to our team is very much appreciated. We are always trying to provide what is lacking in the world we live in. It seems great customer service is a dying art, well not at the Best Western Plus. The Art is alive and well, great old fashioned service never goes out of style. We are in the service industry and we are thankful you noticed. Our welcome mat is always out, we hope you come back and see us soon. Very new, nice and comfortable. Staff greeted me with a smile. They even called me after i left a very valuable item in my room after i checked out. I would stay at this location again as well as many other Best Western Plus hotels! Thank you, hearing such positive feedback really does mean a lot to me and my team. Your high praise to the team is very much appreciated and I will definitely share with every single one of them. It is always heartwarming to hear that our team members went the extra mile to make a difference for our guests. Our welcome mat is always out, come back and see us again soon. Thank you, we appreciate your review. Some of the most important aspects of a great hotel are its location, amenities, service and ability to get a great night's sleep and we are delighted you enjoyed your stay with us. We look forward to welcoming you again next time your travels bring you to Lytle. "Best Hotel I Never Used"
My fiancée and I booked a room late Christmas Eve as I have family in Lytle. After paying for 1 nights stay, we went to spend time with family. (Note: We never entered the room.) Later that night while visiting family, an emergency arose and we had to return to my home near Austin. The next morning I called the hotel and explained to management that I did not use the room. They kindly, cheerfully and immediately provided a full refund! Thank you for your review. It was most unfortunate you were unable to stay with us as you had an emergency and headed back home. Hope all are well and that you will allow us the opportunity to serve you in the near future. After having a mefical procedure done, we wanted no contact w family n friends so we booked BWI for 2 days of R nR. Everytjing we needed, was provided. The spacious downstair room was excellent as few steps were required to the breakfast area wbere the food was delicious. Very friendly!!! We are delighted you were able to rest and recuperate after your recent surgery. We are very cognizant of our services and pride ourselves for our friendly & courteous staff who always try to provide what is lacking in the world we live in; Great Old Fashion Service. We are in the hospitality industry and I am thankful that our team and the amenities we offer, were able to make you feel comfortable and at ease. A speedy recovery to you and we look forward to welcoming you back soon. Thank you, we appreciate your review. It is wonderful to hear that our team and the amenities we offer, were able to make you and your family feel comfortable and at ease. We look forward to welcoming you back in Lytle soon. We enjoyed the stay. Breakfast was great and helped start the day. Our daughter enjoyed the heated pool, TV and internet. Housekeeping Staff was friendly and would make-up the room and replenish towels. Thank you for strongly recommending us to future guests. It truly is great to hear that you enjoyed our hotel and the amenities we offer. We work hard to please every guest and are delighted you are one of them. Look forward to welcoming you back in the future! We Had a very comfortable pleasant stay. We were there for two nights. Breakfast was good. Just wish they would serve breakfast until 10am on weekends instead of 9am. Good place for the price, it smelled fresh and was clean. We truly appreciate your review. We take pride in meeting and exceeding our guests' expectations. We get many compliments on how clean our rooms are, we have our outstanding housekeeping staff to thank for this. We hope to see you again soon. The beds were harder than in the past. The pool was clean as was the suite. Nice lighting and surveillance in the parking lot. The complimentary breakfast is perfect for most people. The staff was helpful when needed. There is easy access to I-35 and Lytle is a nice clean community with enough shopping in the are to suit most needs. Being there at Thanksgiving was nice and the town was already nicely decorated for Christmas which the grandchildren liked very well. Thank you for taking the time to review your recent experience at our hotel. It is wonderful to hear that our team and the amenities we offer, were able to make you and your family feel comfortable and at ease. We look forward to welcoming you back in Lytle soon. "Best Best Western is in Lytle!" From start to finish, I had a great experience in Lytle at the Best Western. I had 3 breakfasts, and the food quality and presentation was really good. I asked for a blanket because of a cold spell, and the front desk lady provided it immediately. Thank you for your feedback, we are delighted you enjoyed your stay with us. We are in the 'hospitality business' and we are simply very cognizant of our services, thank you for noticing. Our welcome mat is always out, come back soon! Overall a great stay. The staff, room, location, breakfast. pool area and value were excellent and I would recommend this hotel to everyone Thank you for your service and keep up the good work. Until we meet again. Thank you for recommending us to TripAdvisor travelers. Some of the most important aspects of a great hotel are its location, amenities, service and ability to get a great night's sleep and we are delighted you enjoyed your stay with us. Our welcome mat is always out, we look forward to welcoming you again next time your travels bring you to Lytle. 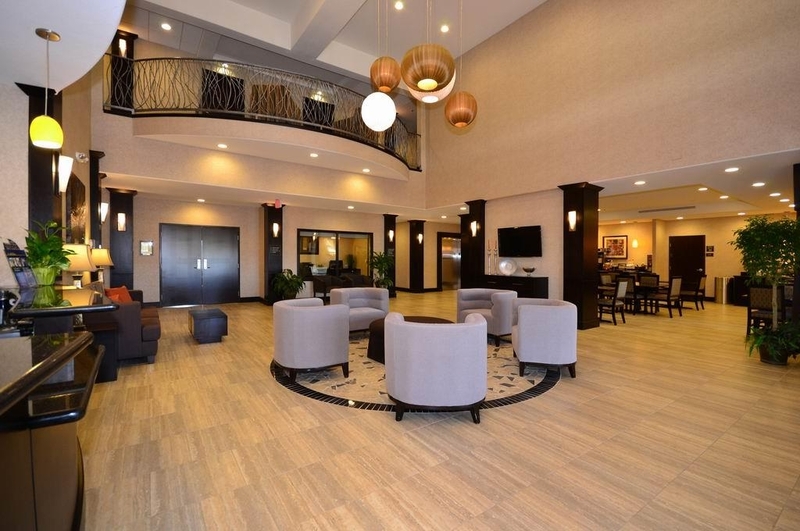 The Best Western Plus Lytle In & Suites maintains a clean lobby, swimming and lounging areas, and rooms. We would stay here again. The staff is extremely particular about noise so beware if you stay up past 10:00 pm to be very quiet. Thank you for your review. Our team members work hard and take pleasure in maintaining the cleanliness and beauty of the hotel in addition to providing a level of service and respect as our guests deserve nothing but the best. We want our guests to feel right at home to enjoy our hotel and amenities, so for everyone's comfort and safety we owe it to each of our guests to maintain orderly conduct. Our welcome mat is always out, we look forward to welcoming you back. The staff members were very polite and professional. They also asked us how our grandchild's birthday party went. They greeted us every time we came in or left the hotel. They responded quickly to any concerns or questions. They even were able to sell us pillows because other guests prior to our visit had requested this service. Now we sleep almost as well at home as we did at thee hotel. We will use this hotel every time we come to visit the grandkids. The only issue I had was the knob to change the shower to hand held was too high and stiff for me to operate. My husband had to struggle, but eventually got it. Thank you for taking time to write about your recent stay with us. We are delighted that you enjoyed your time and we were able to provide you with great service and amenities throughout your stay. Enjoy the comfort of your Best Western Dream Pillows and we look forward to welcoming you and your family back in Lytle soon. Wonderful customer service, I was greeted coming and going. Very clean room, kitchenette and bathroom. The king size bed and extra pillows were nice and comfy. I liked that there was a digital thermostat to control the A/C near the bed. The continental breakfast was very delicious. Thank you, we sincerely appreciate your feedback. It is gratifying for us you enjoyed your accommodations with us and that you experienced customer service at its best which is what we strive for. We hope to see you again soon. Due to hurricane Harvey, we spent several night here and the staff was exceptional. The hotel was very nice and well maintained. The manager was extremely understanding. It was close enough to San Antonio for an easy day trip there. Thank you for taking time to share your experience, we appreciated your generous comments regarding our facilities and services. We will be so happy to share this with our team members who indeed worked very hard to ensure that all of our guests were cared for in the time of the hurricane. Hurricane Harvey caused catastrophic flooding and disaster to many of the surrounding areas, this was indeed a very difficult time for so many people. We look forward to welcoming you back to the Best Western Plus in the very near future. When we arrived and checked in our person was nice and courteous. However, when the owners wife arrived and after watching the way the treated guest and potential guests(cancel people reservations while they were trying to check in, leaving them no where to stay after a long travel), I was mortified. She was extremely rude, stating she can change the rules anytime she wants and can do what she wants, then storming off. It was hard to witness and hard to want to stay there after that. You should never conduct yourself that way in front of customers. I will be taking my stay elsewhere next time. It is disappointing, not a whole lot of places to stay in that town, and the Best Western is a new place, but to be treated or watch someone else be treated that way is sad! We are very cognizant of our services and strive to make our guests feel comfortable and accommodate them as much as possible. Our team members work hard and take pleasure in maintaining the cleanliness and beauty of the hotel in addition to providing a level of service and respect as our guests deserve nothing but the best. Rules and regulations are in place and implemented to maintain a certain standard at our hotel and as much as we love pets our company currently has a No-Pets Policy. This particular guest is a regular at the hotel was aware of the “No-Pets Policy,” had also called the day ahead if we were pet friendly was informed we do not allow pets at this hotel. As the guest was registering, his daughter walked into the lobby with the dog, the reservation was cancelled after he left. It is our goal that every guest who enters our Hotel experiences the spirit of our hospitality. I would like to extend that hospitality to you and I hope that you will consider staying with us again so that we can have another chance to provide you with a superior experience. Rooms clean, great food, super nice staff. Plenty of parking, Love the feel of the country. Convenient on and off the highway. Peaceful surroundings. Clean pool and hot tub. Love the fact that they have a bar-b-que pit to cook on with all the supplies to cook. Thank you! Some of the most important aspects of a great hotel are the location, amenities, service and the ability to get a comfortable night sleep. There is nothing better to us than a happy and satisfied guest and we are delighted you enjoyed your stay with us. We look forward to welcoming you back soon! "Top Notch In A Small Town"
We are truly humbled by your kindness. Our team members work hard and take pleasure in maintaining the cleanliness and beauty of the hotel in addition to providing a level of service and respect as our guests deserve nothing but the best. Thank you, your words have been inspiring and motivate us to continue working hard to exceed our guests expectations. "Excellent stay..excellent staff..great room..very good breakfast..coffee at font lobby in.. good breakfast..very clean." See above. Excellent stay..excellent .. staff..professional & efficient & knowledgeable front desk, good breakfast, comfortable bed, room clean, full supply of towels, coffee packets & coffee maker in room but would have appreciated tea bags too. Some of the most important aspects of a great hotel are its location, amenities, service and ability to get a great night's sleep. We are absolutely delighted you enjoyed your stay with us, thank you. Come back and see us again soon. Some of the most important aspects of a great hotel are the location, amenities, services and the ability to get good nights sleep. There is nothing more gratifying to us than a happy and satisfied guest. Though you enjoy your stay overall, it is most unfortunate it was compromised due to the broken sofa bed. I appreciate your taking time to write and hope you will accept our sincerest apologies for any inconveniences you experienced, we hope to see you again. Clean rooms, friendly staff. Good amenities. Covered pool & hot tub, breakfast, and outdoor grill area. Bed was very comfortable. It is with 45 minutes of Sea World and Downtown San Antonio, but without all the city hassles. Grocery store across the highway for those wanting to use the refrigerator and microwave. I will be staying again as I am in the area once a month. We appreciate your review, thank you. Yes we are only 22 miles from SeaWorld and approx. 24 miles to Downtown San Antonio. We are delighted you enjoyed your stay with us and we look forward to welcoming you back. The stay was perfect. Not to far from the event we were attending. Right off the expressway and close to stores.Breakfast was nice and warm. Coffee was excellent and the express checkout made things simple. Thank you, your review is valued and very much appreciated. It is wonderful to hear that our team, the amenities we offer and our close proximity to San Antonio were perfect for your stay. Our welcome mat is always out, we look forward to welcoming you back! EXCELLENT place to stay!! We stayed in the Lytle Suite and it was perfect for us and the Grandkids!! Breakfast was delicious and met all our needs. Pool and Hot Tub were great! Great staff too! Would definitely stay again and recommend it to all our family! Thank you, we appreciate your glowing review. Some of the most important aspects of a great hotel are the location, amenities, service and the ability to get a comfortable night sleep. There is nothing better to us than a happy and satisfied guest and we are delighted you enjoyed your stay with us. We look forward to having the opportunity to serve you again! Thank you, we are delighted you enjoyed our amenities and your stay with us. We look forward to welcoming you back soon. We had to leave home due to a/c break. This is the second time we've stayed at the Lytle location due to home emergencies. Love this place. Clean. Quiet. Comfy. Pillows are dreamy. Cleaning staff very friendly. Great breakfast spread. Loved the room a/c. Great fridge for our drinks. Thank you for taking the time to review your recent experience at our hotel. It is wonderful to hear that our team and the amenities we offer, were able to make you and your family feel comfortable and at ease. 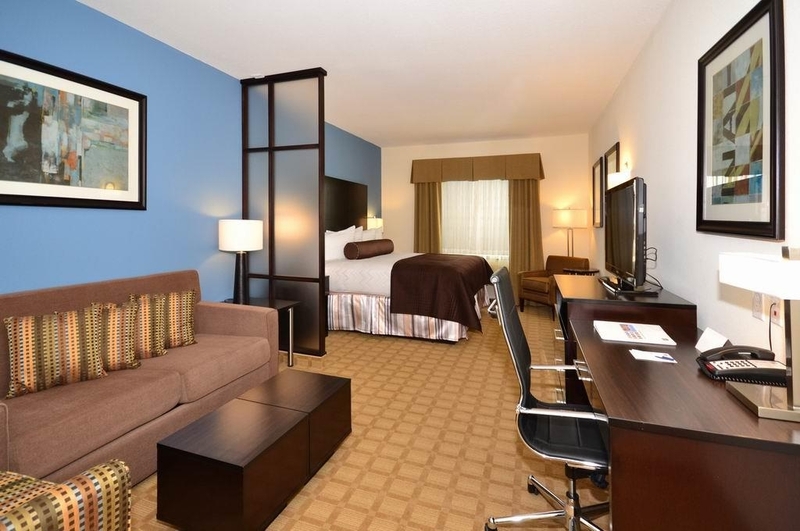 We are delighted to be your "home away from home." Our welcome mat is always out, come back and see us again anytime. Hotel accomodations were good; Hotel staff was very unfriendly upon check in and during breakfast. The hotel also ran out of breakfast items way too early. The staff made no effort to restock or obtain any more supplies. Thank you for choosing Best Western Lytle Inn & Suites to spend your holiday and for taking time to share your experience. Our customer service training is very thorough and we take great pride in showing our guests how much we appreciate them. I am deeply sorry to read and I sincerely apologize for any insensitivity during breakfast and your check in experience as our team members are focused on delivering excellent service and the lack of attention is not common practice here. The issues you have alerted me have been addressed with the team concerned to make immediate improvements. I have always had the opinion that in hospitality you must be hospitable, and I'm glad to hear that you were satisfied with your overall stay. Thank you for allowing us the opportunity to serve you and we hope to see you again soon. We had a quick overnight in the San Antonio area. It was in the perfect location for our visit. We got there late but had no problems checking in. The hotel is new and room was clean. Breakfast was great (scrambled eggs and sausages). The kids loved the Texas shaped waffle maker. "Much needed rest! Very cool, clean room!! Staff was friendly! Thank you!! Breakfast was great!" Some of the most important aspects of a great hotel are location, amenities, service and the ability to get a good nights sleep. There is nothing better to us than a happy and satisfied guest and we are delighted you enjoyed your stay. We would love to have you back soon. Our guests are the driving force behind what we do every day, thank you for helping us want to be even better. Your words inspire and motivate us to continue working hard to exceed our guest's expectations. The best compliment is that Best Western Plus will now be your first choice of stay anywhere....Thank you and happy travels! 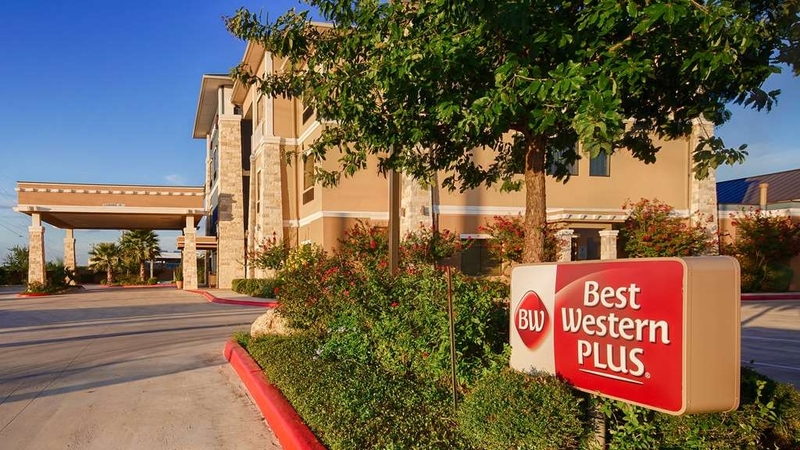 "Best western plus lytle Texas"
Thank you, we appreciate your review. We are delighted you enjoyed our indoor pool, spa and your stay with us. We look forward to welcoming you back again soon. The hotel is clean and quite. Staff is friendly and the breakfast area is clean and well kept. The price is competitive with any other chain hotel. It is easy to find and access from freeway. I would stay here again and this is my second stay. Thank you for taking time to review our hotel for future TripAdvisor guests. We are delighted you enjoyed your stay with us and look forward to welcoming you back when travel brings you to Lytle. New hotel, modern upgraded rooms, wireless is sufficient, clean. Front desk staff are very good. The bacon was overcooked though. Its the best place to stay when around the Devine, Texas area. Not many local restaurants nearby. Thank you for taking time to reviewing our hotel. We are delighted you enjoyed your stay with us. Our welcome mat is always out, look forward to welcoming you back soon. Another great experience at the Best Western Lytle. We decided at the last minute (Thursday night) that rather than stay at my sisters, we would get a hotel room to make the visit a little less stressful for everyone. It was perfect. When we checked in the next day (late Friday night), we asked if they had any external outlets so we could plug our electric car in. The manager generously said we could park in front and try the outlet there. We did, but unfortunately it did not work. The key thing is that he was willing to offer this up. We also asked late Saturday night if we could extend our checkout time by an hour. The answer again was yes. Turns out we didn't need it -- but the point is that they try to accommodate you where possible. I also love that all the regular rooms have a little kitchen area that includes a sink, microwave, mini fridge, and coffee maker. We had no issues with noise and found the rooms to be spacious with comfortable beds / pillows (plus windows have blackout curtains). The AC worked great as well as the free internet, plus good water pressure in the shower. Only improvement would be if they provided a lighted make-up mirror for their female guests (my pet peeve with most hotels). The parking lot is also well lit and the lobby is nicely decorated. They're currently renovating as we saw a lot of plastic on some of the external windows -- but this did not impact our visit. The price is also very reasonable and all staff we interacted with (front desk, manager, cleaning staff) were all very friendly. Even though the hotel is in Lytle, it was convenient to the 3 locations we were visiting (Devine, Potranco/1604, and downtown). Highly recommend. Thank you, we appreciate and value your glowing review. We are very cognizant of our services and pride ourselves for our friendly & courteous staff who always try to provide what is lacking in the world we live in; Great Old Fashion Service. We are in the hospitality industry and I am thankful that our team and the amenities we offer, were able to make you and your family feel comfortable and at ease. We look forward to welcoming you back in Lytle soon. Price of night's stay was reasonable for the location. Beware of breakfast items. You might chip a tooth. Carpet in room needed cleaning but wasn't unbearable. Staff was very friendly and checking out process what painless. We appreciate all our guests who stay with us and pride ourselves on offering the best customer service possible. I would like to apologize for your breakfast experience, we have taken measures to ensure this does not happen again. I thank you for bringing this matter to my attention and please do not hesitate to approach a member of our team if you need anything during future stays with us. "Lytle, TX Best Western Plus, Plus, Plus"
After a long drive from Clinton, Oklahoma we checked into the BWP in Lytle, TX. At first I was concerned that the construction at the hotel would affect our stay but my concerns were alleviated as soon as the desk clerk greeted us. Now this was our third stay at this site and we thoroughly enjoyed the previous two. The desk clerk said that the room I had requested was not available due to the construction but another room (an upgrade) was easily substituted and at no additional cost. The desk clerk could not have been anymore hospitable. She was gracious, well-spoken, informative, and truly customer focused. Our room was a mini- suite with all of the amenities. The bed was comfortable and king size. Ventilation was excellent and reasonably quiet. And, a 42" flat screen TV, too. Breakfast was very good and the kitchen personnel very attentive to guests' needs. We were introduced to the owner and he recommended excellent places to eat in Devine (AAA Steak House) and Mexican restaurants in Anascosta. The hotel is just off Route 35 North. Rates are reasonable and comfort is assured. Enjoy your stay! I am most thankful to you for your continuous support to Best western Plus and for taking valuable time in writing a glowing review. We pride ourselves for our friendly and courteous staff who always tries to make every guest's stay enjoyable. It is most gratifying for us that you enjoyed your accommodations with us and that you experienced customer service at its best which is what we strive for. We thank you for allowing us the opportunity to serve you and look forward to welcoming you back. We stayed here about 6 weeks ago while visiting family nearby. The staff was incredibly friendly & accommodating from the moment we walked in the door; the entire hotel was impeccably clean & modern; the breakfast was fresh & hot with variety every day; the parking lot was safe & clean. I can't say enough about the experience - hotels are not my favorite and I always dread the stay. We will definitely stay again next time we are in the area and highly recommend it. Thank you! We are so appreciative of your glowing review. We strive in providing extraordinary service excellence and accommodations and cannot do it without the support of our wonderful guests. We thank you for allowing us the opportunity to serve you and look forward to your return visits. I chose this hotel because it is convenient and well run. Yes, it is more than BW Plus; it is exceptional in service and quality and price. If you are looking for a place to stay in the northern side of I35, treat yourself to a stay at this home-away- from/ home. You will not be disappointed. Thank you for a wonderful review. We are always trying to provide what is lacking in the world we live in. It seems great customer service is a dying art, well not at The Best Western Plus. Great old fashioned service never goes out of style; we are in the service industry. Thank you for noticing and we look forward to welcoming you back again soon. This is the second year I use this same location. Staff is friendly and always talkative. I always got greeted at all times of the day. The lady in the breakfast area is always so nice and welcoming. All San Antonio tourist locations are close by. "unprofessional, dishonest service and rude manager"
I was charged $90.40 by the hotel without my knowledge after my reservation was made and paid through expedia. I called and spoke with receptionist which stated it was because after reviewing the camera's they saw that I had additional guests which was totally inaccurate. (i was in town for a family reunion) and family visited but no one besides my family STAYED there. I told her they charged without my knowledge and consent and she stated she slipped the receipt under my door which I NEVER received. I spoke with the manager which was rude and would't listen to what I had to say and stated that they were a "business and everything costs us money!" Next time my family members and myself will be staying elsewhere even if it means we will travel a little more for HONESTY AND BETTER PROFESSIONAL service. First and foremost I am disappointed that you did not enjoy your 4 day stay with us. While an apology will regrettable not alter the outcome of your experience at our Best Western Plus, I do extend it with all sincerity. We are very cognizant of our services and we conduct our business honestly; our Integrity is the virtue of practicing what we believe is right. The internal areas of the Hotel such as the guest rooms and its amenities are an exclusive privilege of registered guests only. I encourage you to check our website; the posted rates are a one person per day rate, additional charge applies for extra person/s including children over 12 years of age. You reserved and paid for your room through Expedia for a double queen suite for 2 adults/4 nights. At check in, you were asked the number of people in your party to which you replied 2 adults and 2 teens. Since you only paid for two people to Expedia; you were informed at this time there will be an $80.00 plus tax charge for the extra two people totaling $90.40 to the credit card you handed us. Your credit card was charged and a copy of that receipt was slipped under your door on that same day. We have mailed another copy of the receipt for your records. It is always our wish that every guest experiences our hospitality, I would like to extend that hospitality to you and hope you come back to see us. Our one week stay was exactly what we wanted. My family enjoyed a good breakfast each morning and a fully clean room when we came in each night. We recommend this place to all, we will be back ourselves. Thank you for your review. We are thrilled to hear you enjoyed your time here and that our staff provided you with great service and amenities throughout your extended stay. We look forward to welcoming you back soon. "I have explained the problem in answers to previous questions." There was a shortage of breakfast items long before closing time. The manager was indifferent without even offering an apology. We had four children and expected to eat at the motel before going out for the day. 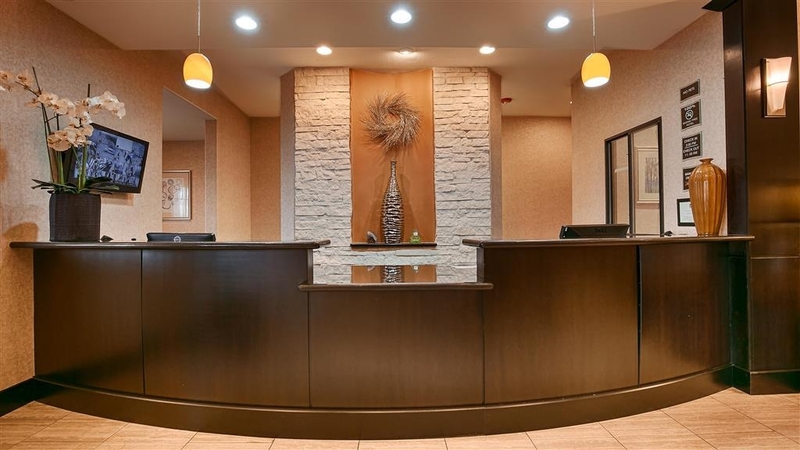 We are very cognizant of our services here at our Best Western Plus and we appreciate all our guests who stay with us and pride ourselves on offering the best customer service possible. Our breakfast hours are from 6:00am till 9:00am every morning and that includes time change. Items are replenished as they run out during breakfast hours. It is most unfortunate that your two rooms came down to breakfast at 9:20 am. It is our goal that every guest who enters our Hotel experiences our hospitality. We would like to extend that hospitality to you and hope you come back to see us. "Very clean and modern hotel"
This is a very nice hotel in a small town. Rooms are very clean and the décor is modern. I always stay here when I am in Lytle and find it to be one of the better Best Western properties. Breakfast was nice and internet was adequate. I wiork in Oil feild related services in south Texas I can across this Best Western on my last trip. Very nice and new hotel, clean, friendly staff, and very comfortable rooms. I am not a big fan of hotel breakfast, but the the freshness and appearance of what they have looked great. The coffee is great. We booked a total of four rooms. We called in advanced they were very accommodating as we requested all rooms facing the back and on the third floor. We had to change one room when we arrived to a Suite and they were very easy to work with. The rooms were perfect in every way. We did note some wear on the pull out couch in the suite, other than that no complaints. The morning breakfast was good as always. This is our go to Hotel. Best place around. Highly recommend. We had other family decide to stay here based on our suggestion and they were very pleased. Thank you for your review. We have a wonderful staff always ready to provide the best customer service possible and I am glad we were able to accommodate your requests and that your party enjoyed their stay with us. We are in the process of replacing the sofa sleepers in the rooms. We are delighted we are your "go to Hotel" What a compliment. Thank you! We look forward to welcoming you back soon. "Best Western Plus, Lytle, Tx"
A great hotel, very clean, and had ample room for us to park our truck and trailer. It was very quiet even though close to I-35. Close to fuel and food. We will definitely stay there again as we travel through there frequently. Thank you for your review. We are delighted you enjoyed your stay with us and we look forward to welcoming you back again. The hotel was new, so very clean and nice. The staff was friendly enough, but not very quick to respond. We needed extra pillows as they were feather pillows, and the hotel only had one extra to offer even though the rooms weren't all booked. Not a huge deal. However, if you want breakfast, be sure and get there well before 9am as staff clears the breakfast early. We thought the overall quality was great, we just were exhausted from being at a wedding the night before and were really disappointed when we set an alarm to wake up to get food only to find it was already closed except for any fruit we wanted to grab. Have stayed here for last three years and have found it very convenient and people easy to work with. They will go out of their way to help .It has been a pleasure to work with these people. Will definitely stay here again next year. Thank you for your review. We pride ourselves for our friendly and courteous staff and always try to make every guest's stay enjoyable. It is gratifying for us that you enjoyed your accommodations with us and that you experienced customer service at its best which is what we strive for. Thanks again, we appreciate your loyalty and look forward to welcoming you back next hunting season! I usually stay at higher end hotels and if I have to I sometimes stay at Hamptons or Holiday Inn Express, but this place was nice. It was clean and staff was very friendly. I would definitely stay here again! Thank you for your review, your comments mean so much to all of us here at the Best Western Plus Lytle Inn & Suites. Our team members work hard and take pleasure in maintaining the cleanliness and beauty of the hotel in addition to providing a level of service and respect as our guests deserve nothing but the best. We look forward to welcoming you back again soon. This hotel is very modern. It has comfortable beds and clean rooms. The breakfast is very good including fresh cut up fruit. It's located about 30 mins from downtown San Antonio. Does not offer truck parking. Thank you for your review. 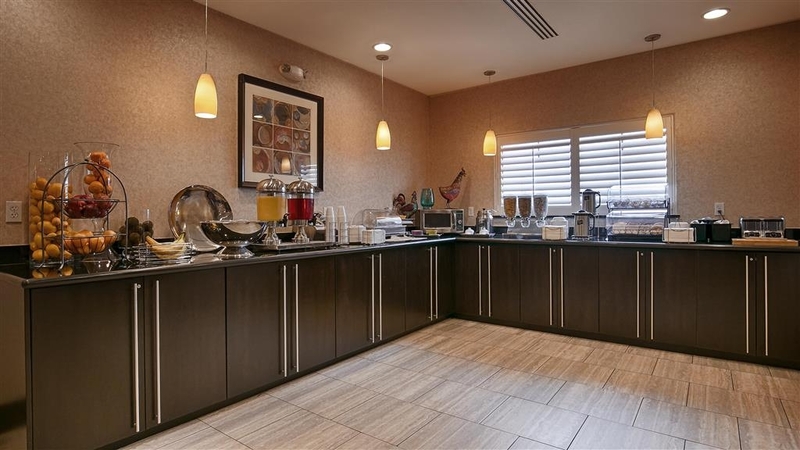 We are delighted that we were able to make your recent stay enjoyable and we are pleased to hear that we were a great fit for your travel needs due to our proximity to San Antonio and that you enjoyed our breakfast and amenities. We are looking forward to welcoming you again next time your travels bring you to Lytle. Went September of last year and will be returning September of this year. This is a pretty nice hotel, also one of the few, if not only, nice ones in the area. The rooms are pretty nice, but what i really like is the indoor pool and hot tub, and the outdoor grilling area/patio. As of last year, they will provide everything needed for the grill except the food. Wonderful area to just chill out. There is also a grocery just across the street for whatever you may need. Thank you for your review. Our staff is truly professional and very committed to ensuring our guests have a great stay. We are delighted you enjoyed grilling in the patio. See you again soon. Long time traveler,first time Best Western stay. This will not be my last due to the quality of this facility. The hotel was beautiful and very convenient to San Antonio. Front desk associates were all very accommodating. Be ready for a great variety for breakfast, it was super! Thank you for taking the time to review your recent experience at our hotel. 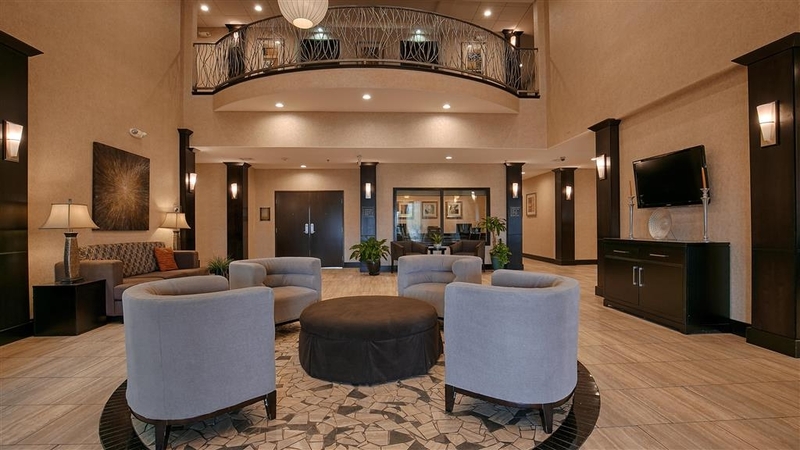 It is wonderful to hear that our team, the amenities we offer and our close proximity to San ANtonio were able to make you feel comfortable and at ease. We are looking forward to welcoming you back in Lytle soon. I am glad you enjoyed your experience at our Best Western and thank you so much for recognizing our team members. Please come back and see us again soon. It was a nice stay. We checked in late about 11:45pm. The person at the front desk was not very friendly. All of the staff that we ran into during our staff were nice. The room was very nice, clean, nice beds - loved the pillows. Hot tub was nice, nice patio. The pool was chilly. Breakfast was ok. The eggs were is little slimy. This hotel is an excellent choice. It has beautiful decor. My room had a sink, fridge, and microwave. It was a clean and comfortable room. The service was outstanding and hot breakfast was great. I'll definitely stay here again. "Amazing hotel in the unlikeliest places"
Where do we start..The hotel desk clerk Aimee was so helpful we were in town for a funeral tired and weary from traveling from northern Colorado. We walked in and she immediately greeted us. we had in mind a room with a king size bed just enough to sleep the night didn't need the frills. She didn't have any available but upgraded us to a suite with a whirlpool for the cost of room we had requested. Nice little sundries room for some snacks. We had laid down for a few to rest our eyes the bed was so comfortable. Excellent hotel will stay again if we head south again! The hotel was awesome! Very clean, very comfortable, and the staff was very nice and pleasant. The breakfast was well balanced, hot, and tasty. The price was extremely reasonable. It's location is not far from San Antonio or the Frio River or the hill country therefore it gives you lots of options! I would definitely stay there again! Our stay at Best Western plus was a pleasant one. we will return and use this chain again. The rooms are clean and comfortable and the staff was very friendly . very helpful. The check in process was very streamlined and efficient. Pool looked inviting, but was just too tired every evening to enjoy it. Also, very convenient to major grocery store, HEB. Although located on the service road of a major interstate, I did not notice any noise. The full breakfast was delicious and the staff kept the room and counters clean and ordered. Coffee in lobby as well as coffee machine in room was nice. Parking was convenient. "great stay in Lytle, TX"
I will be back if I have to stay in the area again! Very clean facility, friendly employees. Pool looked inviting, but was just too tired every evening to enjoy it. Also, very convenient to major grocery store, HEB. Although located on the service road of a major interstate, I did not notice any noise. I booked this hotel for my family of four for our spring break trip. It was a little bit of a drive between here and downtown San Antonio but worth it! Great value, very quiet and clean. Parking was nice and well lit as well. The hot tub was broken on our first night, which would have been nice to know at check-in. We drove straight through from Tulsa the night before and went straight to the Riverwalk when we made it to SA. So we were really looking forward to the hot tub. It was fixed the following day and the kids were happy with the pool. Breakfast was great, if you wake up early enough.. It was spring break though so I wasn't surprised by how busy it was during breakfast hours. Overall, this hotel is a great value, we all slept great and were happy with our stay! Thank you for the review of your recent stay with us. There are so many places to choose when visiting San Antonio and we thank you for staying with us. Glad to hear the serenity and ambiance our hotel as well as the services provided here allowed you and your family to relax comfortably and enjoy your stay. We look forward to welcoming you back again soon. Little kitchenette came in handy. Place is quiet in a very small town just south of San Antonio. Did not have to pay Valet services like in the hotels in San Antonio by the riverwalk. Just parked in an area close to riverwalk that was free. Did not have to pay for valet services ( Most valet services are $25 to $38 by the riverwalk. Thank you, we appreciate your feedback. 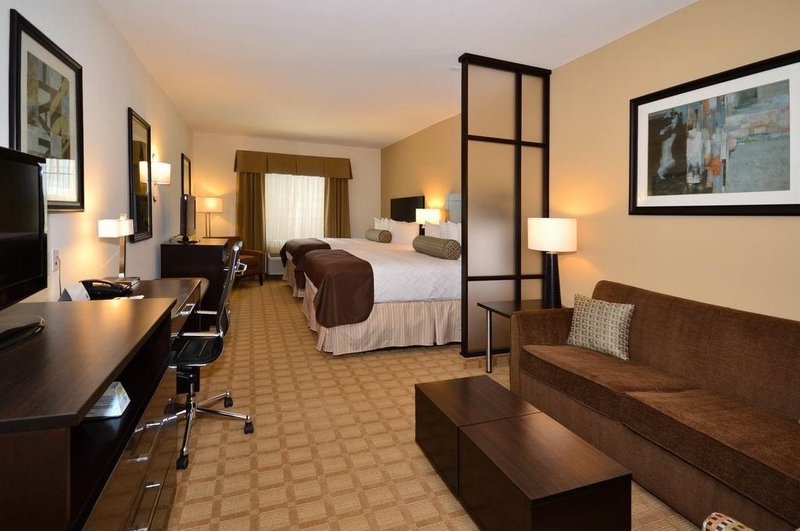 We like to say we have "small town charm, big city amenities." We hope to see you again. I was pleasantly surprised when staying at this property. The only problem that I encountered is that the neighbors were a little loud for a brief period of time at 10 pm at night. Not even worth mentioning to the night staff. But, very clean room, with a comfortable bed, and nice restroom. The breakfast buffet was nice, and included coffee and milk. I think we could have also made waffles. The staff was very nice at checkout. We are very cognizant of our services and we value and appreciate your feedback, thank you. We hope you come and see us again soon. Great clean Hotel. Rooms a very nice and the beds will put you to sleep. The pillows complete a great nights sleep. They have a great breakfast. you can make your own waffles, choose from pastries to cereals, scrambled eggs, sausage, fried potatoes and fresh fruits. We've been staying here multiple times a year since they opened. Yes, our mattresses and the Dream Pillows do complete a great nights sleep. We really appreciate our loyal guests, thank you for your positive review. We look forward to welcoming you back again soon. The hotel was clean and the staff was professional and helpful. The location is not ideal for most travelers but it definitely fit my need. I was very happy with the experience and will be using this facility in the future. Thank you for your review. We are delighted you will be saying with us during your travels in the future. Look forward to welcoming you back. The staff was very helpful, attentive and courteous. The room was quiet, very clean and comfortable bed with convenient set up. The full breakfast was delicious and the staff kept the room and counters clean and ordered. Coffee in lobby as well as coffee machine in room was nice. Parking was convenient. I was able to get a one day special rate online through Travelocity for my 3 night stay. Our guests are the driving force behind what we do everyday and we are very cognizant of our services. Best Western International also has special promotions and special rates on our website. Thank you for your positive review; we look forward to welcoming you back again soon. "Very pleasant time in South Texas"
The staff was very good and knowledgable of the area, the room was clean and inviting. The bed was extremely comfortable. The location was very good and we really enjoyed our breakfast. Thank you for your down home "Texas" hospitality. Thank you, we appreciate your comments and we are delighted you enjoyed your stay with us. Our welcome mat is always out, come on down again and enjoy more of our "Down Home Texas Hospitality." The Hotel was conveniently located as well as easy to find. I was impressed with the lobby decor and the room was very very clean and orderly. It would have been nice to have a choice of a hot tea as well as in room coffee as my spouse likes hot tea and not coffee. There needed to be better digital cable service as it wouldn't pick signal after 10pm. Also, could use another trash can and a few more choices for local in room delivery as far as food goes, Overall it is excellent. There was alot of noise from the room next door, it could use better sound proofing. We value your review, thank you for taking time out of your busy schedule. We really appreciate everyone taking time to share their experience as we are committed to incorporating guest's suggestions and requests in their time here. Your suggestions will assist in us growing as a hotel; you help make us better at what we do! We look look forward to seeing you during your next trip to Lytle. The beds and pillows were very comfortable. We liked the pillows so much we looked them up online and we're going to buy some for our home. The hotel was very clean and the staff was super friendly. We really enjoyed the breakfast. i highly recommend the Lytle Best Western Plus. We certainly value and appreciate your comments, thank you for your positive review. It makes us want to try even harder to be better. We hope your travels bring you back through Lytle so we can welcome you back again. over all the hotel was good, the only major complaint was the sleeper sofa was terrible even for a kid. the only other issue was air conditioner had a small leak, if you stepped directly in front of it your foot got wet. the last thing was a bad storm blew in and knocked out the power for 5 hours but I guess the hotel has no control over that. We certainly appreciate and value your comments we are committed to incorporating guest's suggestions and requests in their time here. Your suggestions will assist in us growing as a hotel, the sofa sleeper is being looked into and the ac has been taken care of. You help make us better at what we do! We hope to see you again soon. Best place by far in Lytle TX. Beautiful hotel - first stay - will stay again. The staff was outstanding, the rooms very nice and comfortable! The pool and spa was fantastic. Indoor so it doesn't matter what the weather is like - can always take a swim. Thank you for taking time to review your recent experience at our hotel. It is wonderful to hear that our team and the amenities we offer, were able to make you and your family feel comfortable and at ease. We truly appreciate your kind words and will continue to provide our guests with the service you have come to know from us. We look forward to welcoming you back in Lytle soon. "Drive the extra 50 miles to stay at this Top Notch Hotel"
This hotel should be a model for the rest of Best Western's Chain. Clean, comfortable and quiet. Easy access and the staff are happy, dependable and enjoy what they do. I drove an extra 78 miles to stay the last leg of my business trip because my first two days were so perfect. Great going Carole, Aimee and Christy, you made my business trip seem like a vacation! Thank you for an awesome review. We are always trying to provide what is lacking in the world we live in. It seems great customer service is a dying art, well not at our Best Western Plus. Our team members work hard and take great pride in maintaining the cleanliness and beauty of the hotel in addition to providing a level of service and respect as our guests deserve nothing but the best, receiving positive feedback only makes them want to be even better. Thank you for noticing them. We hope to see you again soon. Always enjoy my stay here, rooms spacious, décor splendid, staff amazing and helpful. Never any worries about my belongings. Eating and grocery very convenient! TY hope to stay again soon. Kids enjoyed the pool and the breakfast, already asking when we can go vacay again! Thank you so much for your kind words and for choosing to stay with us. Our guests are the driving force behind what we do everyday, we just simply want our guests to experience great hospitality at our hotel. You made our day! See you soon. "Great size rooms, newer hotel"
Loved the room, nice size. They also had 2 tv's, one for the bed & one for the couch. Liked that they had a sink outside of the restroom with a refrigerator & microwave. Down side was the hot tub wasn't hot and I was looking forward to that after a long day walking at Seaworld. Also they don't keep pool towels out and available for guest. Thank you for taking time to share your experience at the Best Western Plus. Yes our suites are spacious and well appointed, the built in bar with a refrigerator & microwave & sink is a welcomed feature. Fresh pool towels are always available from the front desk upon request since our pool is indoors & towels tend to become musty. Our apologies for the hot tub temperature, hopefully you will be able to enjoy the spa next time you are here. The hotel is very well kept and with Rewards and AAA, we got a nice room for a great piece ! Pool needs work as the water is so out of balance , yours eyes will burn! But other than that, it's worth staying here! Nice breakfast! A little hard to get to from I10 but worth it! We appreciate all our guests who stay with us and pride ourselves on offering the best customer service possible. Thank you for bringing the 'pool balance' to our attention, I sincerely apologize for any discomfort to you. please be assured it was taken care of immediately. We are delighted you enjoyed your stay with us and hopefully your journeys bring you back to Lytle soon. Very comfortable and relaxing even though we were there for wor,. from checking in to the comfort of the beds cleanness of the rooms and great breakfast even got to jump into the jacuzzi the best. Definitely recommend! We appreciate you taking the time to let others in the TripAdvisor community know of your positive experience while a guest here. We are delighted you enjoyed your stay and that were able to enjoy our amenities allowing you to relax. Look forward to seeing you again soon! "Excellent stay in Lytle, TX"
This Best Western Plus is a very upscale hotel for a very small town, outside of San Antonio, TX. The people are friendly, the hotel is well decorated, the rooms are very nice & everything was in great working order. We enjoyed our weekend and will definitely stay here again. Thank you for recommending us to future guests. We sincerely appreciate your kindness and we certainly look forward to welcoming you back again. Always a great stay when I visit Lytle Texas.. Very clean from the lobby to the rooms. Great breakfast every time. The beds are very comfortable and the rooms are a good size. Looks great from the Highway as you approach. We are very fortunate to have a staff that work hard and take pleasure in maintaining the cleanliness and beauty of the hotel in addition to providing a level of service and respect as our guests deserve nothing but the best. We look forward to welcoming you back soon! It was our first stay. I would stay there again; highly recommended. Was great friendly, helpful, informative staff. The room had a kitchen and microwave and mini refrigerator that all came in handy. Rooms and dinning area were very clean. Excellent place to stay. I will stay again if ever in the area. The staff are friendly and the hotel very clean. It was the perfect choice while in the area. Also very close to the highway, and HEB Plus. We couldn't keep driving after having been on the road for 15 hours and it was best! We didn't have time to take advantage of the amenities offered due to a deadline we had to meet but everything looked great. Thank you for taking the time out of your busy schedule to write about your visit to our hotel. Our staff is so pleased when we exceed our guest's expectations and we are delighted you enjoyed your stay with us. Service is our goal, and I am glad we met that with your stay. We hope to see you again soon. awesome place to stay. good hot breakfast. nice people. great indoor pool. very nice hotel. will stay again. super clean rooms and halls. flat screen t.v's. internet. fast food restaurants right across the street. grocery store close by. drug store close. city park not far away. only 25 minutes from sea world. Thank you so much for taking the time to place a review on TripAdvisor about your stay with us. Some of the most important aspects of a great hotel are the location, amenities, service and the ability to get a comfortable nights sleep. There is nothing better to us than a happy and satisfied guest and we are delighted you enjoyed your stay with us. We look forward to having the opportunity to serve you again!! Spent the week 10/6 through 10/11. My room never disappointed from the day I arrived to the day I departed. Enjoyed the workout room, it's simple but all you need. It would be nice if they hand sanitizer or wipes for equipment Breakfast was always ready and fresh. Staff was always friendly and accommodating. This is my go to hotel! Husband will be staying here next. "Definitely the best hotel in the area"
Hotel was clean and well maintained. Rooms were spacious and comfortable. We had a suite which had a nice sitting area and made our five day stay more comfortable. Would definitely recommend this hotel if you are in the area. Thank you for your review of your recent stay with us at the Best Western Plus. There are so many places to choose when visiting San Antonio and we thank you for staying with us. It is nice to hear that you were able to enjoy the spacious suites our hotel has to offer and services provided here allowed you to relax comfortable to enjoy your stay. We hope to see you again soon. This is a very nice Hotel. All of the extra's are real, and in great shape. (workout room, pool, etc...) Top of the line. Excellent service and friendly employees. Very helpful as well. I will stay there again if in the area. What a great compliment that your stay with us was “Top of the Line.” We are very fortunate to have a staff that works hard and takes pleasure in maintaining the cleanliness and beauty of the hotel in addition to providing a level of service and respect, as our guests deserve nothing but the best. We are so happy to hear you will be coming back and are eagerly awaiting your arrival!! Thank you very much for your positive review of our hotel. Our entire team is determined to ensure an excellent stay for all our guests and I am thrilled to hear that Aimee took great care of you. We are delighted you enjoyed your stay and look forward to having the opportunity to serve you again on your next visit to Lytle. "Managment and front desk staff do not care"
This hotel is really the only hotel close to this area and they act like they don't care. Front desk staff raised the rate after we got there. Management and staff know they are the only real hotel in the area and just do not care about customer service. Next time I will stay further away and drive in. We appreciate all our guests who stay with us and pride ourselves on offering the best customer service possible. I confirmed with our 800 Reservation Center that you originally made the reservation through an online third party for 1 person - 1 bed. The desk clerk informed you of the $10.00 extra person charge when you called the hotel directly to change to a double queen room for 2 people. You were charged the discounted corporate rate for 1 person plus $10.00 for the extra person plus taxes. We strive to make our guests feel comfortable and accommodate them as much as possible. We hope you will consider us in your future travels. "A treat for your money"
Outside of needing the plants watered at the entry this hotel was above our expectations for the money. We are repeating customers. We ALWAYS stay at this hotel every time we come to Lytle which is often. We have a son that lives in the area. The rooms are great and the bed is THE BEST! Customer Service and the breakfast is nice too. Would definately recommen this place to anybody staying in the area. I certainly thank you for taking the time to tell others of your experiences at our Best Western Plus, especially because you have visited with us on several occasions. I'm thrilled that you have chosen us to be your hotel of choice. We are always striving for service excellence and cannot do it without the support of our wonderful guests, you are the reason we come to our hotel each day with a smile on our faces. Thank you for allowing us the opportunity to serve you. We look forward to your return visits.